HBO’s rock drama “Vinyl” is a one-hit wonder after all. Although a second season of the 1970s-set rock drama was previously ordered by HBO, the pay network is now cancelling the low-rated, but critically-acclaimed series. In the beginning, HBO was sure it had a hit on its hands. With names like Martin Scorsese, Terence Winter, and Mick Jagger attached to “Vinyl,” it’s understandable that they felt confident about the show. HBO was so sure of the series’ success that it reportedly spent $30 million on the two-hour pilot and then renewed it for a second season after just one episode. Then the reality of the situation hit. The premiere was viewed by less than a million live viewers, and things went downhill from there. What’s worse, for HBO specifically, is that “Vinyl” failed to inspire that kind of water-cooler talk the network is used to getting. Then, showrunner Terence Winter (whose relationship with the network dates back to “The Sopranos”) left over creative differences. 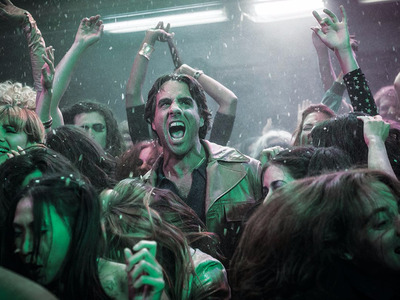 Why else would HBO change its mind on “Vinyl”? Aside from “Game of Thrones,” HBO’s dramas have been very disappointing. According to THR’s source, new programming president Casey Bloys wants to clear the way to put his own stamp on the network’s drama slate.